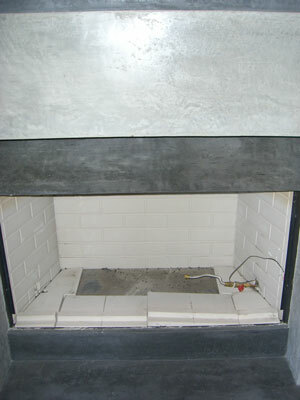 The first two pictures are of the vent less burner, interesting to say the least. 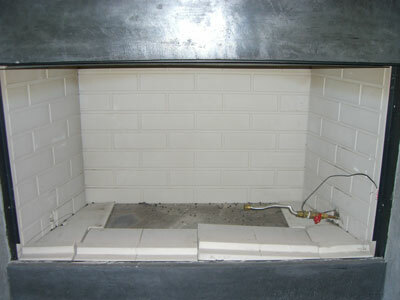 Bill ordered a rectangular pan and it would of looked better if we would of built a trapezoid shape pan to contour the fireplace. 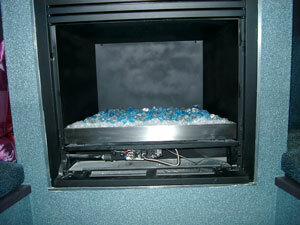 Bill did drop his burners under the glass. 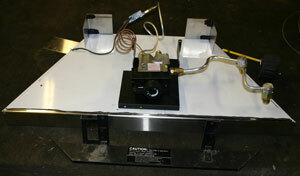 This was a propane ventless conversion. 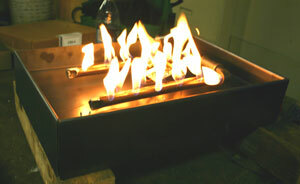 Looks much better than those log thingies! 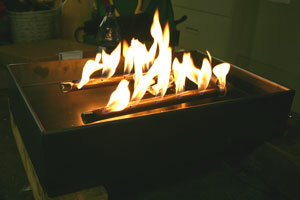 Hopefully Bill will send us pictures of it finished and burning, maybe. 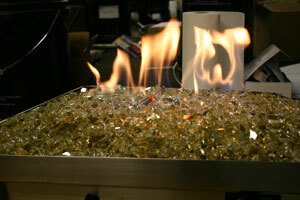 The glass we used in the pan is starfire. 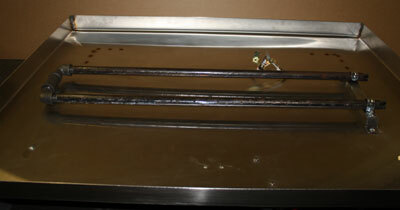 Thee modifications are 550.00 for a steel pan and 650.00 for a stainless pan plus the glass we would use. 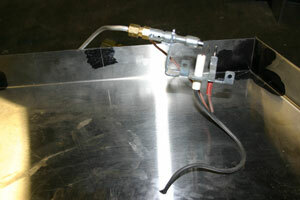 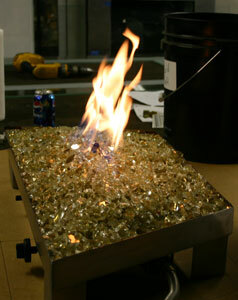 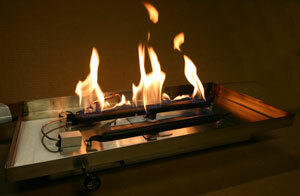 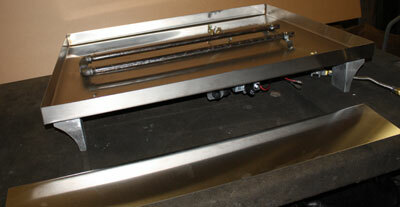 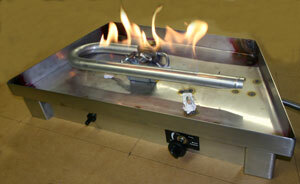 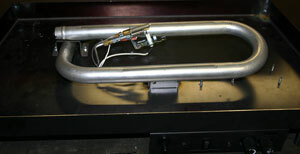 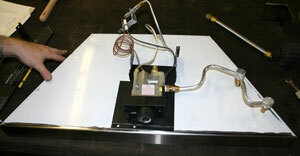 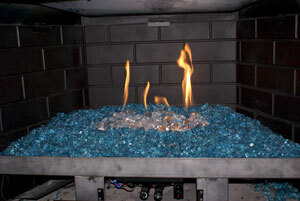 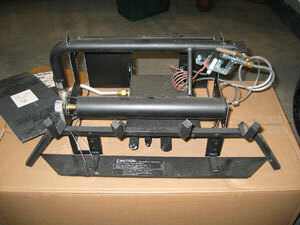 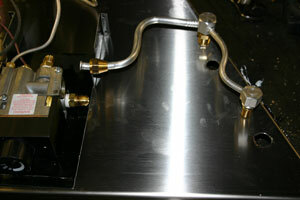 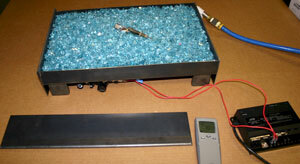 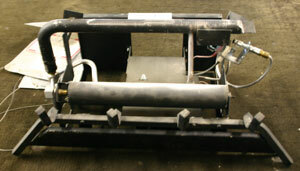 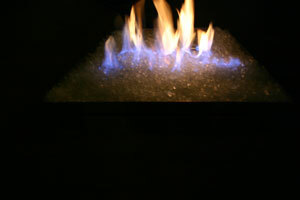 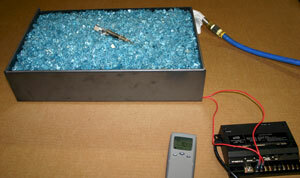 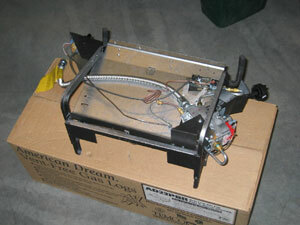 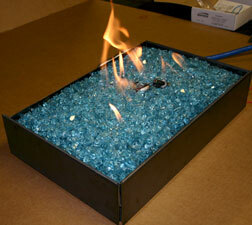 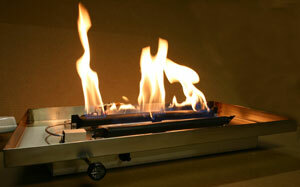 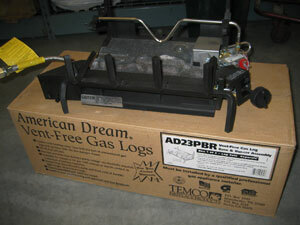 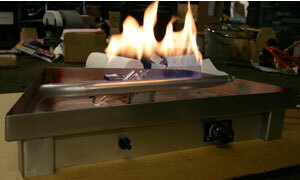 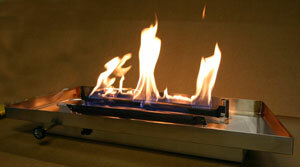 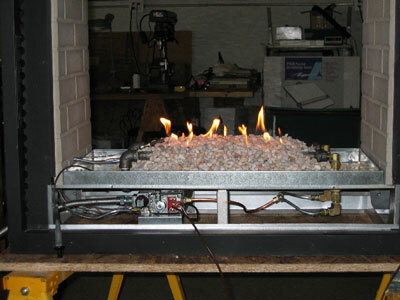 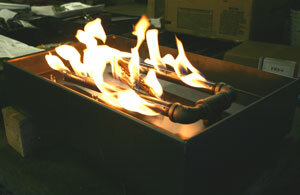 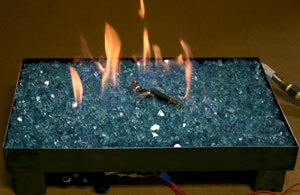 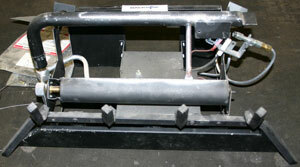 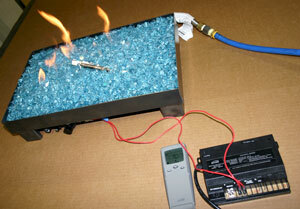 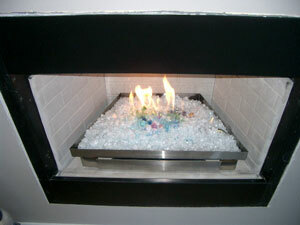 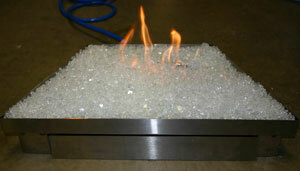 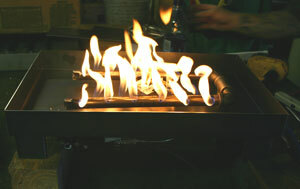 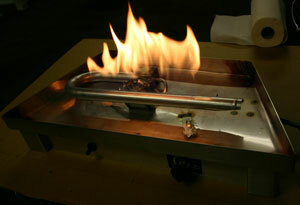 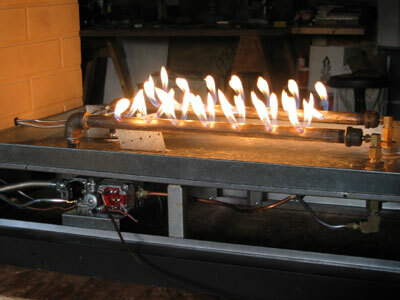 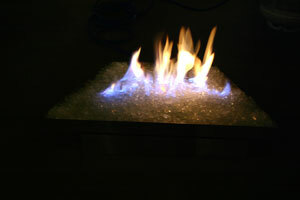 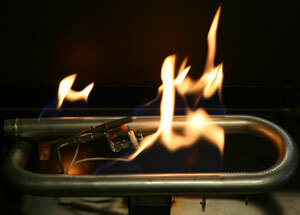 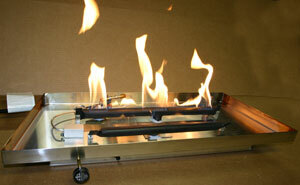 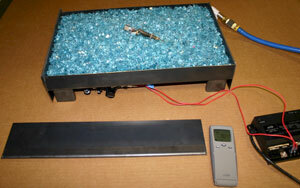 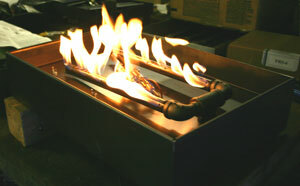 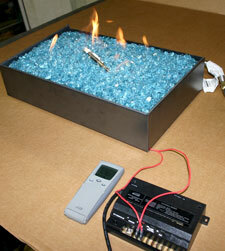 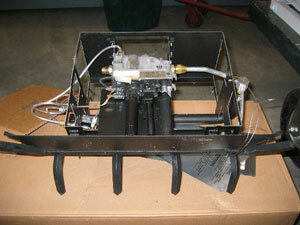 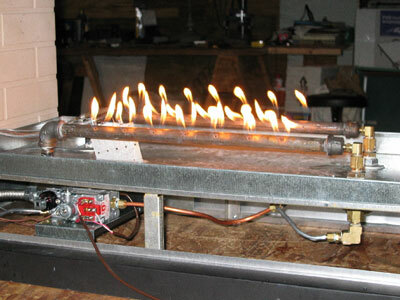 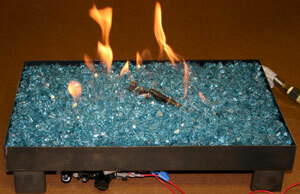 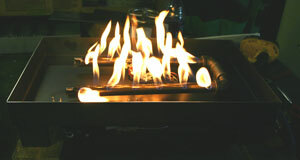 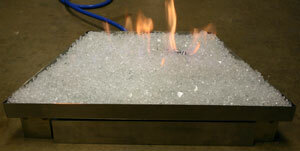 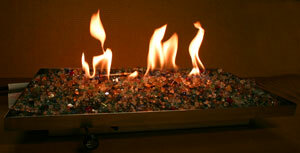 We don’t sell the ventless burners; we convert them or show you how to convert the burners. 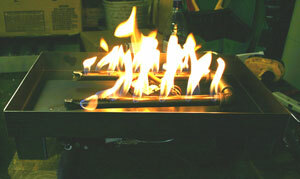 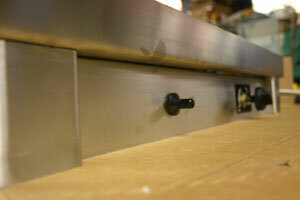 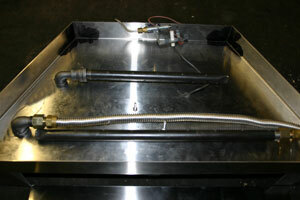 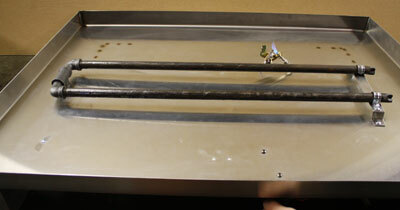 We can build any size or style of pan or tray and install your burner or help you to do this yourself. 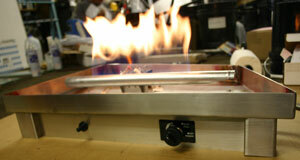 Once the pan size has been determined we can then quote the glass. 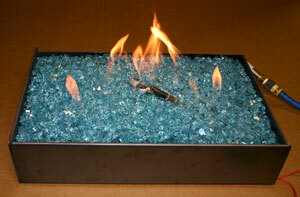 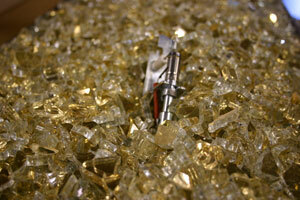 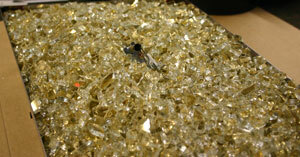 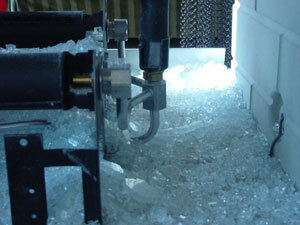 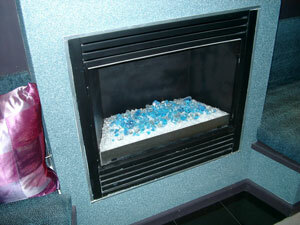 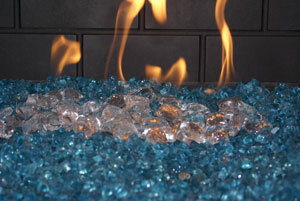 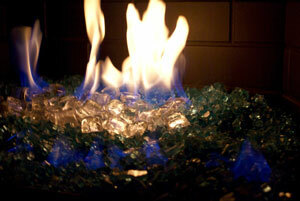 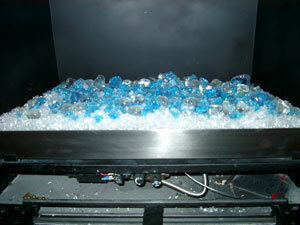 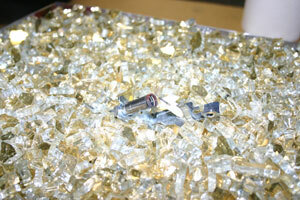 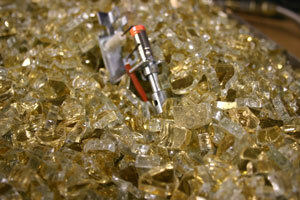 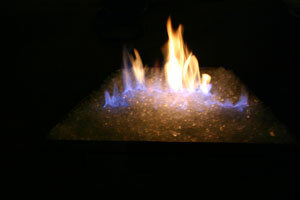 The glass has been ranging from $75.00 to $200.00 depending on the size of the pan and color of glass you would like. 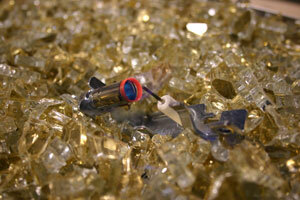 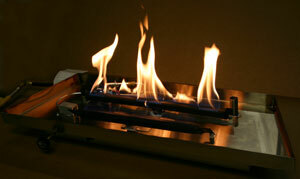 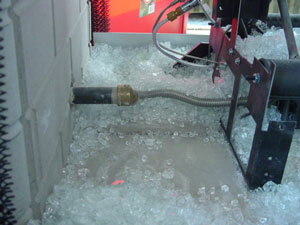 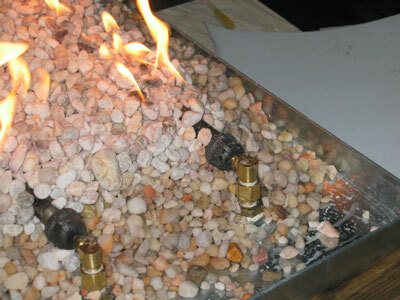 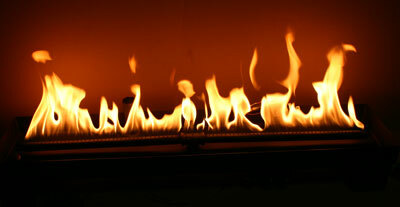 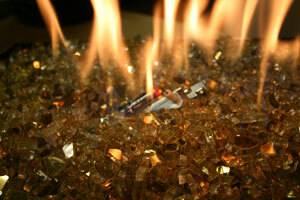 Be sure to check your local codes to insure you can install a ventless burner. 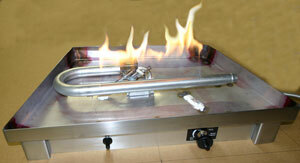 Plus shipping and crating and this will be determined by where you live and how large or small your burner will be. 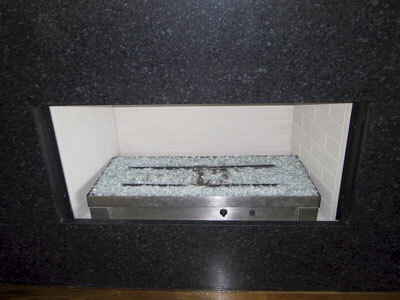 Be sure to check with your local building department and codes so see if ventless is legal in your area! 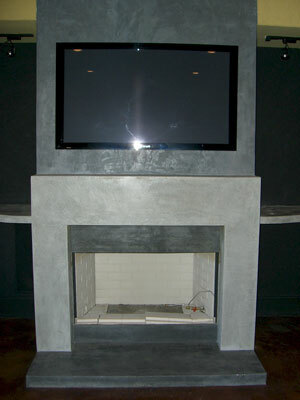 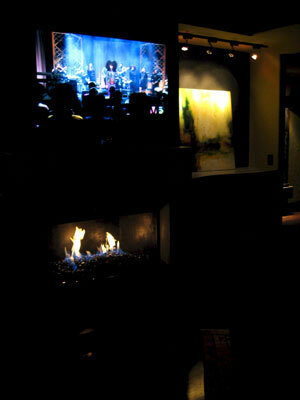 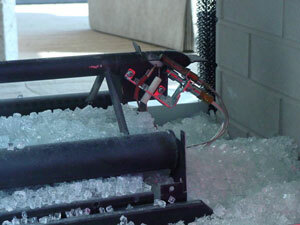 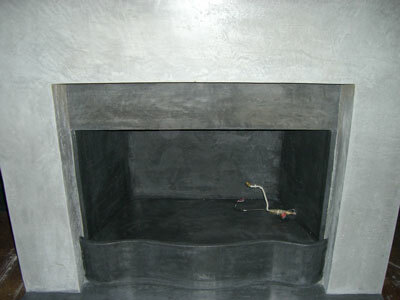 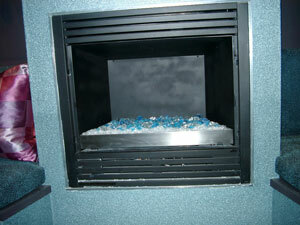 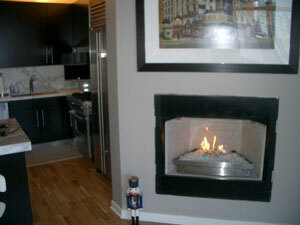 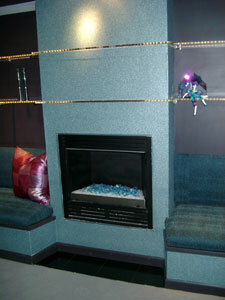 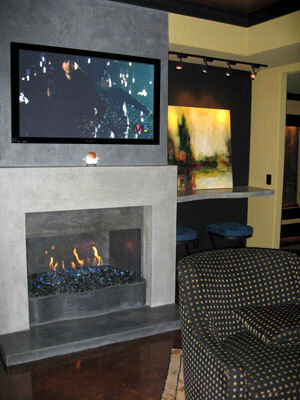 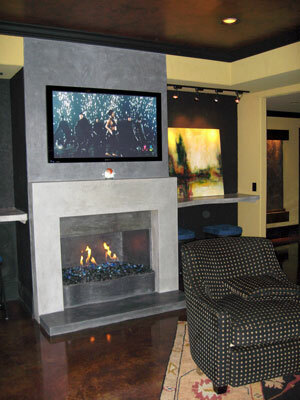 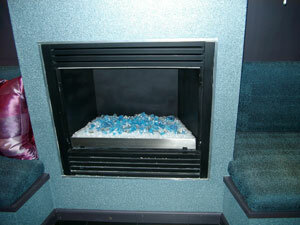 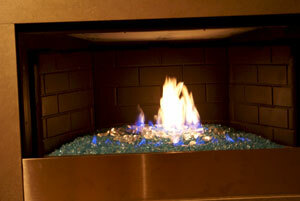 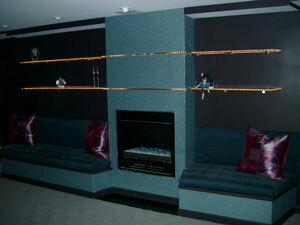 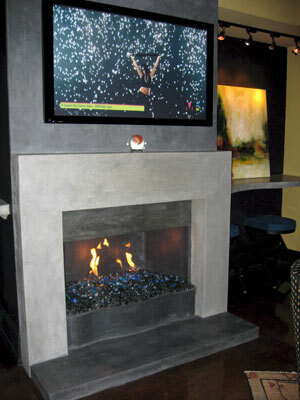 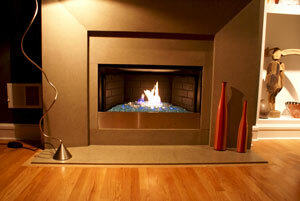 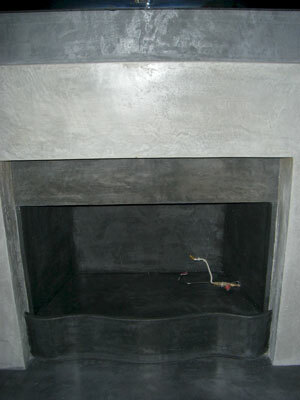 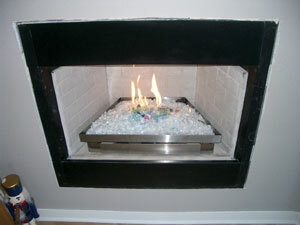 We are not the fireplace police, we are the hired help and we will build anything you want. 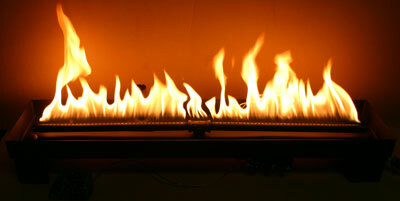 Just because we build it, that does not make it legal. 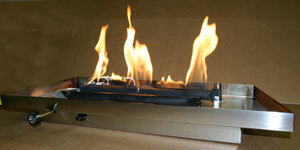 This is for you to find out about your local codes and what can or can’t be installed. 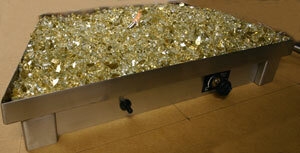 If you should have any other questions, please call me and we can discuss your options.